What does the preparation of team Denmark look like? Preparations have been going on all winter with several indoor practices. In the spring, we have had 3 weekend sessions, concentrating on batting, fielding and technical stuff like pick offs, 1st & 3rd situations etc. We’ve spent a weekend at the traditional tournament in Zeist, Holland. Not a strong tournament, so the main focus was team building, and offensive play. We played 8 games together - and won the tournament. We were also hosting the Fastpitch Challenge, with Denmark and Czech Republic playing a series of 7 games. In this series we will face much stronger pitching and batting, so our focus will shift towards batting and defense. After the Challenge we will have one training session to work on the last details before we leave for Canada on June 20th. In Saskatoon, we have 6 warm-up games against local teams, so all together we will end up playing 21 games together as a team, before the World Championships starts. Our group is a tough group. We expect to do well against all teams, but Australia, Venzuela and maybe Japan will be hard to beat. But we have to beat teams like Holland, Dominican Republic, Mexico and also the USA to make it to the playoffs. To end in the top 8 is our main goal. We believe it is realistic - we have a good mix of younger and older players a solid pitching staff plus some very good batters with lots of international experience. Danish men’s softball is the European top. Women however are not doing that well, where do you see the difference between men’s and women’s softball in Denmark? Womens softball in Denmark has been struggling for several years now. In Denmark we have a hard time getting girls interested in our sport. Handball and football are very big sports here, giving smaller sports a tough competition. On the plus side, the young girls we do have, all play with boys in their junior years, which makes it an easy transition to senior play. Our national team has slowly improved the last couple of European Championships, so I am optimistic for the future. 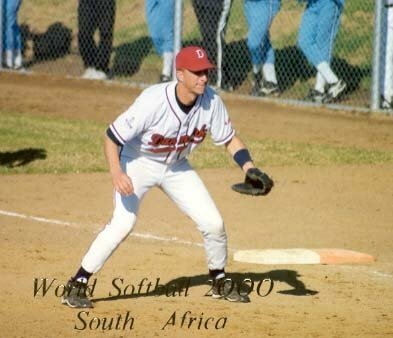 On the mens side, baseball in Denmark is very small, so all our best ballplayers play softball. All our junior boys play softball as well, so that’s a very big help for the men's softball. Together with the Danish team, another three European countries will participate: Czech Republic, Great Britain, Netherland. You can review the Danish roster for the World Championship below. We will keep you updated and informed about the event. For more information visit the ISF website.